Though I don't always talk about books much on here, it's now a tradition to feature my favorite books that I've read in the past year. 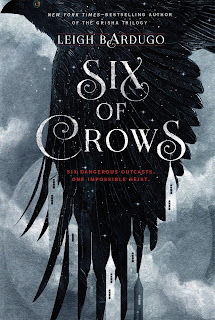 I know I should probably just make it a best YA books of the year list, but most years at least one "regular" book makes it into my favorites, so whatever, man, whatever! I must say, most of the books I read this year I was very engrossed by, with maybe two exceptions. I won't name names because who needs more negativity in the world right now, but you may be able to figure it out by my ratings on Goodreads. The good news is, I didn't give anything I read this year less than 3 stars, so there wasn't anything I truly hated. Ha! The point is, this list is about the ones I really, really liked, that I would definitely recommend to others. Sometimes it's hard to decide what book to read next from a vast list of options, so perhaps this will help some people decide. 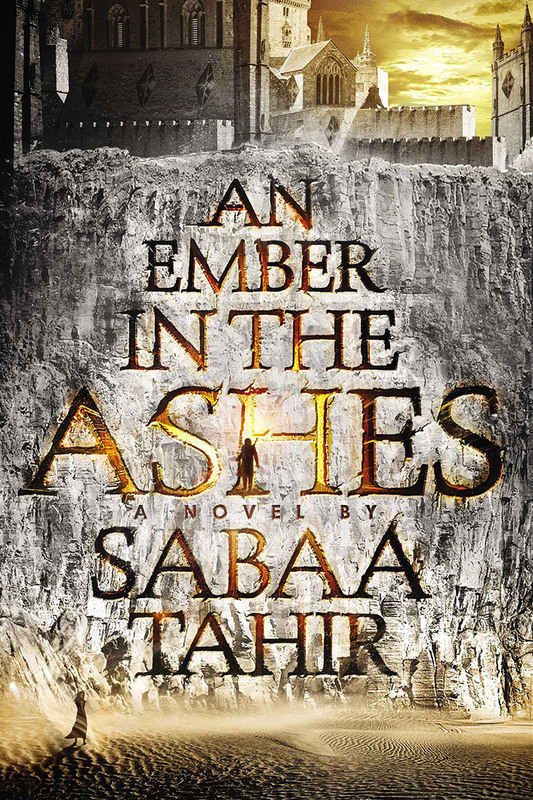 Synopsis: Set in a terrifyingly brutal Rome-like world, An Ember in the Ashes is an epic fantasy debut about an orphan fighting for her family and a soldier fighting for his freedom. It’s a story that’s literally burning to be told. Laia is a Scholar living under the iron-fisted rule of the Martial Empire. When her brother is arrested for treason, Laia goes undercover as a slave at the empire’s greatest military academy in exchange for assistance from rebel Scholars who claim that they will help to save her brother from execution. Elias is the academy’s finest soldier—and secretly, its most unwilling. Elias is considering deserting the military, but before he can, he’s ordered to participate in a ruthless contest to choose the next Martial emperor. When Laia and Elias’s paths cross at the academy, they find that their destinies are more intertwined than either could have imagined and that their choices will change the future of the empire itself. Why it made the list: Almost always, I come into new books, no matter how highly rated, with a touch of skepticism. Will it really be as good as everyone says? Or will I be disappointed? This one is as good as everyone says. It does this great job of building up the stories of both Laia and Elias, making you want to jump back to the other's story as soon as you start one of their chapters. And once they finally cross paths, it's even better. Trust me, you'll want to check this one out. Synopsis of Red Rising: The Earth is dying. Darrow is a Red, a miner in the interior of Mars. His mission is to extract enough precious elements to one day tame the surface of the planet and allow humans to live on it. The Reds are humanity's last hope. Or so it appears, until the day Darrow discovers it's all a lie. That Mars has been habitable - and inhabited - for generations, by a class of people calling themselves the Golds. A class of people who look down on Darrow and his fellows as slave labour, to be exploited and worked to death without a second thought. Until the day that Darrow, with the help of a mysterious group of rebels, disguises himself as a Gold and infiltrates their command school, intent on taking down his oppressors from the inside. But the command school is a battlefield - and Darrow isn't the only student with an agenda. Synopsis of Golden Son: With shades of The Hunger Games, Ender’s Game, and Game of Thrones, debut author Pierce Brown’s genre-defying epic Red Rising hit the ground running and wasted no time becoming a sensation. Golden Son continues the stunning saga of Darrow, a rebel forged by tragedy, battling to lead his oppressed people to freedom from the overlords of a brutal elitist future built on lies. 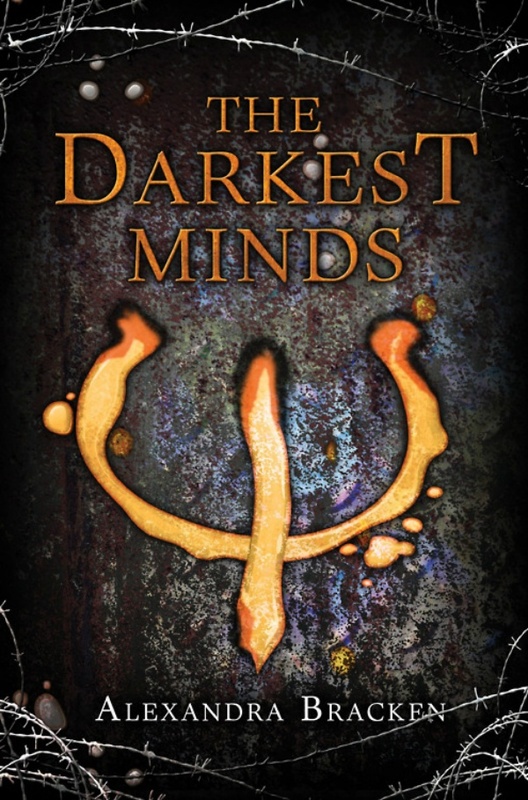 Now fully embedded among the Gold ruling class, Darrow continues his work to bring down Society from within. 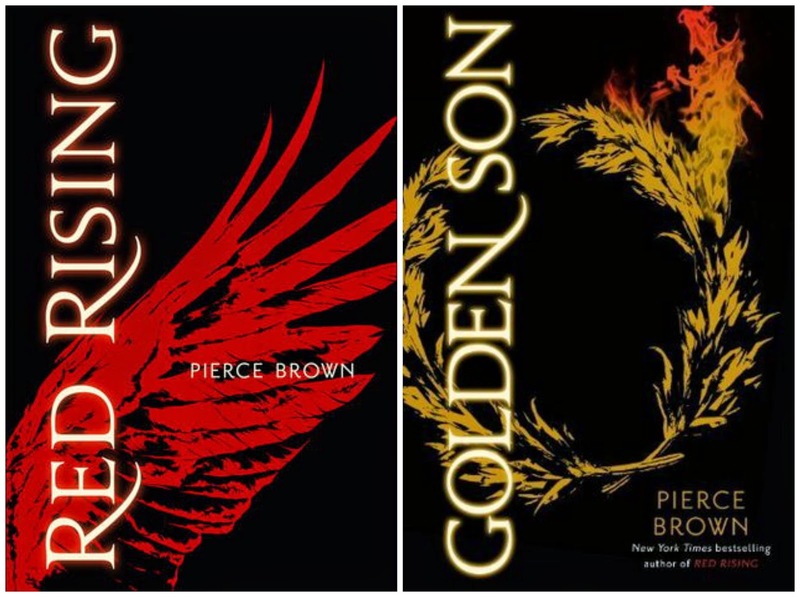 A life-or-death tale of vengeance with an unforgettable hero at its heart, Golden Son guarantees Pierce Brown’s continuing status as one of fiction’s most exciting new voices. Why they made the list: For some reason, when I read the synopsis of Red Rising, I really thought it sounded hokey or something. Something about the class system, maybe. And when I first started the book, I wasn't so sure I was going to like it. But once Darrow leaves home and starts on his journey, the story doesn't let up. In fact, I could hardly put the book down. 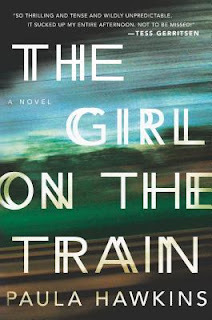 The second book in the series picks up right where it left off, and doesn't quit either. It definitely has a different structure than the other book, and the ending will leave you wanting the final book in your hands right this minute. Synopsis: Ketterdam: a bustling hub of international trade where anything can be had for the right price—and no one knows that better than criminal prodigy Kaz Brekker. Kaz is offered a chance at a deadly heist that could make him rich beyond his wildest dreams. But he can't pull it off alone... A convict with a thirst for revenge. A sharpshooter who can't walk away from a wager. A runaway with a privileged past. A spy known as the Wraith. A Heartrender using her magic to survive the slums. A thief with a gift for unlikely escapes. 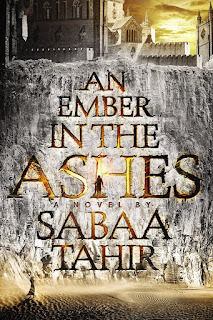 Kaz's crew are the only ones who might stand between the world and destruction—if they don't kill each other first. Why it made the list: I'll be honest, it took me a little while to get really into this story. I think part of it is the jumping between the different characters and having to keep up with who is who in the beginning. It's hard to keep a reader super invested. But, once things started moving, I got more and more into it. Each character has his/her own history that gets a bit of focus, and of course the ending just leaves you wanting more. Synopsis: A debut psychological thriller that will forever change the way you look at other people’s lives. Rachel takes the same commuter train every morning. Every day she rattles down the track, flashes past a stretch of cozy suburban homes, and stops at the signal that allows her to daily watch the same couple breakfasting on their deck. She’s even started to feel like she knows them. “Jess and Jason,” she calls them. Their life—as she sees it—is perfect. Not unlike the life she recently lost. And then she sees something shocking. It’s only a minute until the train moves on, but it’s enough. Now everything’s changed. Unable to keep it to herself, Rachel offers what she knows to the police, and becomes inextricably entwined in what happens next, as well as in the lives of everyone involved. Has she done more harm than good? Why it made the list: Yes, this book was the hottest thing out there this year. But it's for a good reason. The characters are interesting, and the story very twisty. It's hard to figure out just what happened, which is great for a mystery novel. If some of you are reluctant to get on the hype train, don't be. I don't think you'll be disappointed. Synopsis: When Ruby woke up on her tenth birthday, something about her had changed. Something alarming enough to make her parents lock her in the garage and call the police. Something that gets her sent to Thurmond, a brutal government “rehabilitation camp.” She might have survived the mysterious disease that’s killed most of America’s children, but she and the others have emerged with something far worse: frightening abilities they cannot control. Now sixteen, Ruby is one of the dangerous ones. When the truth comes out, Ruby barely escapes Thurmond with her life. Now she’s on the run, desperate to find the one safe haven left for kids like her—East River. She joins a group of kids who escaped their own camp. Liam, their brave leader, is falling hard for Ruby. But no matter how much she aches for him, Ruby can’t risk getting close. Not after what happened to her parents. Why it made the list: Now, I did read all three of these books this year, but I'm only placing the first one on the list. While I did still like the other two (okay, I wasn't the biggest fan of the second one), I can only say that the first one drew me in and kept me in. I had to keep reading it, to find out what happened next. Ruby is an interesting and deep character, and so are the others she meets along her journey. It's a road trip and a scifi book all in one. Synopsis: In this third book in the Lunar Chronicles, Cinder and Captain Thorne are fugitives on the run, now with Scarlet and Wolf in tow. Together, they’re plotting to overthrow Queen Levana and her army. Their best hope lies with Cress, a girl imprisoned on a satellite since childhood who's only ever had her netscreens as company. All that screen time has made Cress an excellent hacker. Unfortunately, she’s just received orders from Levana to track down Cinder and her handsome accomplice. When a daring rescue of Cress goes awry, the group is separated. Cress finally has her freedom, but it comes at a high price. Meanwhile, Queen Levana will let nothing prevent her marriage to Emperor Kai. Cress, Scarlet, and Cinder may not have signed up to save the world, but they may be the only hope the world has. 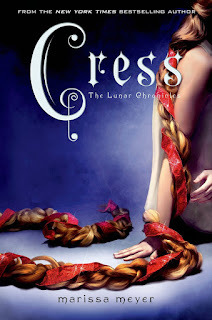 Why it made the list: I think this book in the Lunar Chronicles series may have been my favorite so far. I just couldn't get enough of Cress and Captain Thorne. In fact, every time the book switched to the other characters, who you would think I cared most about, I was like no please go back to Cress and Thorne. Call me a sap, I guess, because I enjoyed their developing relationship more than I have any of the others. I haven't had a chance to read the last book in the series yet, but I hope it's just as good! As always, I have many more books still on my to-read list. 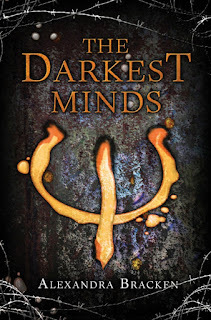 I'm currently reading Lair of Dreams by Libba Bray, and considering The Diviners made the list back in 2012, it stands to reason that it would probably make this list as well, but I only just started it so I can't say for certain yet! A couple of the other books that are high on my to-read list are Illuminae by Amie Kaufman and The Wrath and the Dawn by Renee Ahdieh, and apparently I need to read the whole Throne of Glass series by Sarah J. Maas as well! I admit I'm also into the Cormoran Strike series by Robert Galbraith (aka JK Rowling), and need to read the latest one. So much to read, so little time!